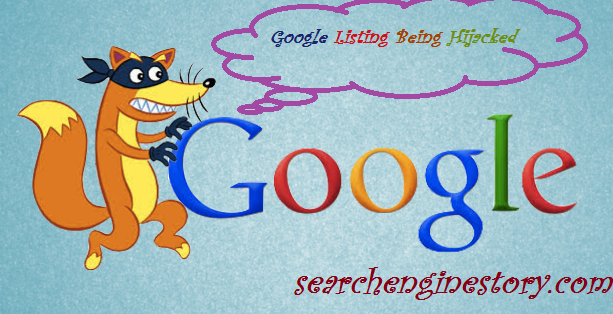 Browse : Home Google SEO Google Listing Being Hijacked – What Does Google Have To Say? Google Listing Being Hijacked – What Does Google Have To Say? According to recent reports, there have been too many reports regarding thousands of hotels that were listed within Google+ Local appear to have links that were leading to some official websites “hijacked” and replaced with links that led to third-party booking services. If you didn’t know this earlier, Google+ Local listings are what Google depends on to offer search results in Google Maps or Google Search, when people look for online business search. This has happened earlier and will probably happen again and it has now been years that the local search gurus have reported a major problem regarding hacking with local business listings by Google. There have been reports popping all over again about a fresh new crop of hijacked listings. For the small business owners and their SEO efforts, this is nothing but a nightmare. Of late, local search has been gaining enough importance for quite some time and these days, it has become a mainstream business mode. Google has integrated their local search 7 pack, which is a pairing of a map and a list of 7 local listings with URL and phone number, and added them to the main organic search results. This has made paid listings one of the first things that searchers view. This local listing pack consumes the space of 3-4 organic listings and pushes the index-based search results a few ways down the page. If you visit Google and type a generic phrase like “pizza”, this will generate a new set of standard and paid organic search results but on the other hand when you type the same search term within a local qualifier (something that most focused searchers would do), you will see that the results are jam-packed. Suddenly, all the juicy local listings will come to the forefront and the organic listings will be at the bottom of the page. Due to a combination of strong visual impact and some relevant results, most local searchers will likely not make their way down into the standard organic listings. In other words, when you aren’t showing in the local pack, your front door sign may even read as “closed”. What should you do to avoid such local hijackings? If you’re someone who hasn’t already verified his local search listing on Google, you require doing so. Once you’re done with that and invested enough time to maximize your Google Map listing with images and coupons, you can log into the Google Local Business Center’s reporting feature and then take a look around. Make some plans to do this again on a regular basis, may be weekly in the least. When there is a sudden drop in traffic, hijacking is often identified. This is where most of the SEO companies and the business firms are spotting their problem. When there is a sudden plunge in traffic, the local business center and the owners start investigating on the reason. Vigilance is the most common name of the game and it is only by checking carefully on a regular basis that you can make sure that your listing hasn’t been hijacked. This article is very helpful. Just take a look on the following link to know more information about local business center .